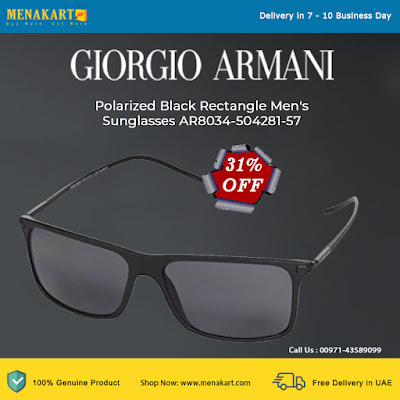 Giorgio Armani sunglasses are built for fashion and comfort. Featuring rectangle shaped lenses and black plastic frames that are sure to stand out from the rest. These sunglasses also have grey plastic lenses that helps keep the harmful sun rays out of your eyes. These sunglasses are made in Italy.